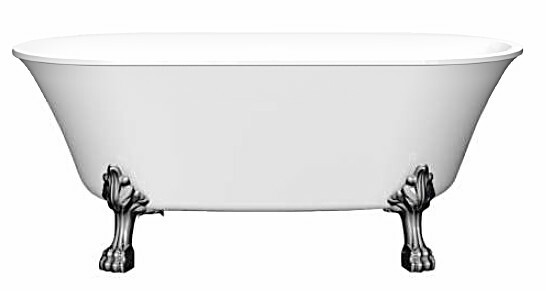 An elegant freestanding clawfoot soaking tub, the Cher is adorned with Lion Paw feet. This center drain bath has 2 comfortable backrests and a slightly curving rim. The Cher is constructed with 2 acrylic sheets and the space between the acrylic sheets is filled with fiberglass and resin to create a bath that is as sturdy as it is beautiful. 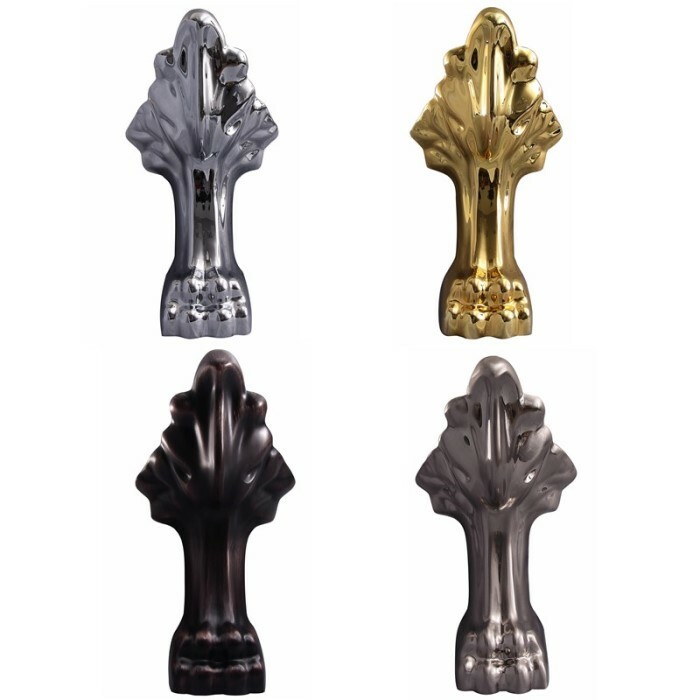 The solid brass feet are offered in chrome, polished brass, brushed nickel or oil rub bronze. This bath is not drilled for faucet holes, making it the perfect pairing for a freestanding or wall mount tub filler. 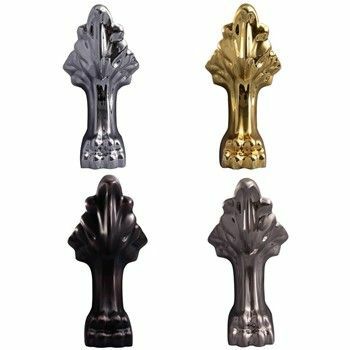 63" x 29 5/8" x 25 1/4"